The Vox Fund includes The Dartmouth’s internal Financial Aid Program for student reporters and business associates. The need-based program provides stipends to work-study eligible D staff members in the hopes of easing the difficulty that comes with balancing class work and work on The D with financial aid employment obligations. The Fund also awards leave-term stipends to help make it possible for our promising journalists to pursue unpaid internships and gain invaluable experience outside of Robinson Hall. Since its founding in 1999 at The Dartmouth‘s Bicentennial Gala, The Vox Clamantis Fund has distributed nearly $140,000 to enable our reporters and editors to supplement their “on-the-job” training by meeting and working with renowned practicing journalists. 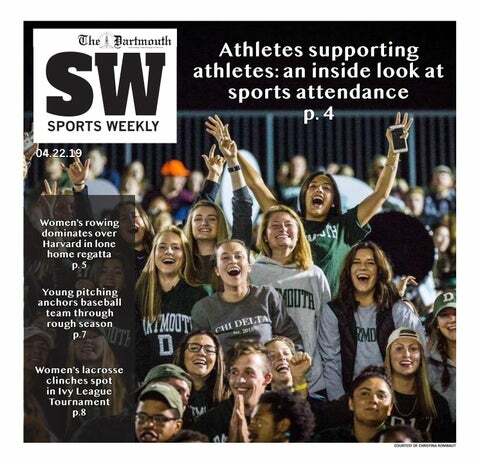 As an independent organization, The Dartmouth does not receive funding from the College, and none of this would be possible without the Fund’s support. Maintaining and expanding these programs depends upon the support of our loyal alumni and friends. We thank you in advance for your generosity and support of The Dartmouth.